The one person no Nigerian should envy now is President Goodluck Ebele Jonathan. He is at the moment at crossroads with the nation’s security and the path he eventually chooses shall make all the difference. But what is becoming increasingly clear is that conventional methods of fixing the security ache aren’t working; the more the security forces under the auspices of the JTF apply force the more the insurgency escalates in frequency and temerity. The simple reason is: this is no conventional warfare where a superior army rolls out tanks across the border to crush the weaker enemy. Northern leaders are also waking to that same sad reality and a very distinguished delegation of them that goes by the name Northern Elders Forum met with President Jonathan just days ago specifically on the need to change strategy for containing the Jamaatu Ahlil Sunnah Lid’da’awati Wal Jihad, better known as known as Boko Haram. The message they brought to Mr. President was simple: force cannot stop this insurgency. Thus the president who only a month ago in the 2-state tour of Borno and Yobe called the bluff of boko haram and rejected call for amnesty for the sect on the ground that they were faceless or ‘ghosts’, has not only changed his mind but has also set up an amnesty committee. To be caught between the devil and the deep blue sea, as they say, is not exactly where any patriot would wish for his country. But that is where Nigeria has unwittingly found herself with the prospects of amnesty for the boko haram, a sect that has killed over a 1,000, unsettled the peace and security of the country and wrecked the economy of most parts of the north since the extrajudicial murder of its leader Mohammed Yusuf in 2009. Without a clear alternative, amnesty option has become nothing but a devil’s alternative, since leaving it to linger will mean more deaths and embracing amnesty would mean the dead and maimed asking, where is justice? Many Nigerians are therefore scandalized, asking, how we can negotiate with terrorists; how can we pardon mass murderers? and all that. They , instead, demand justice and deterrence for victims of Boko Haram (the dead, the wounded, the orphaned, the widowed), so as to avoid what Gani Fawehinmi once called, ‘peace of the graveyard’. Their anger and anguish are well founded and indeed justified. Yet, those who are inclined to oppose, need to consider a few more issues to see that an amnesty, as naïve as it seems, may well be a wise option. Sometimes, you stoop to conquer. For justice for victims, though no amount of money can bring back life, compensation does appear to be the only option in that aspect. To begin with, the Joint Task Force (JTF), which is trying rather unsuccessfully to restore peace to the northern faultlines, is made up of some of the nation’s good hands in military warfare; so their competence is never in doubt. Yet, this is a different kind of war. Traditionally, the military is trained for positional warfare, to deal with enemies fairly defined and locatable. Contrary to such fundamental canon of war, here the JTF is facing a faceless enemy, who is deeply soaked into the general Muslim northern populations, which they use as human shield, to the point that a family of say 10 may have one or two members as members of boko haram. Even if the family members knew who they were, giving them up to the security forces has proved very dicey and extremely dangerous. Many who betrayed have been wiped out by the sect. Those who think it is going to be a quick fix should recall; few years ago, two northern governors had to take newspaper advertorials to apologize to the sect, following their threats. If governors with all their security apparatus cannot stand in the way of the sect, is it the ordinary citizens of the northern states that can? Many can conveniently argue that some northern governors support or even sponsor the sect. While the symbiosis that attended their political association in the past is long established, it is equally important to see that the sect is now well entrenched, beyond the original intention of those who may have armed and deployed them for political gains, especially during campaigns. That explains why the fallout between the sect and Governor Modu Sherrif of Borno (as he then was) was said to stem from the erstwhile governor’s refusal to introduce full shariah in Borno as he promised them. Their disengagements from the services of some northern governments is also said to be accounting, at least in part, for the insurgency. Beyond the national calamity the insurgency has since become, opponents of amnesty need to also consider the consequences of its full internalization. Rather than worry more about injured national pride, if amnesty will severe the link between the sect and al Qaeda and al Shubab, it is a great option. 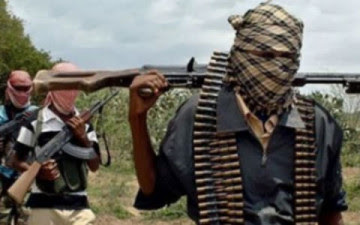 As international terrorist organizations, al Qaeda and al Shubab have made Africa their home and both have made very spirited efforts to groom Boko Haram to form a triad and make Nigeria a sub-Saharan hub for their operations. This must not be allowed if northern Nigeria will not become another Somalia or Afghanistan, which may be the precursor to the disintegration of the country. How to severe such link is where an amnesty can prove a potent tool, that Nigeria may stand a chance of dislodging the sect from her soil. How this can happen is by encouraging its members who are still salvageable to embrace dialogue and the proposed amnesty, and by getting them to join forces with the JTF to force the dyed-in-the-wool members to relocate from Nigeria. Whoever is under the illusion that amnesty would be embraced by diehard boko haram members is mistaken. Amnesty will not end boko haram scourge overnight. It may take months if not years. But it is in everybody’s interest that north and by extension Nigeria is saved now. Nigeria must fight to avoid gaining the full status and entailments of a terrorist nation and deescalating the insurgency is the only solution. Once Nigeria receives that official label, any Nigerian travelling outside the country will be treated like a common criminal and potential terrorist. On 25 December, 2009, Umar Farouk Abdulmutallab, son of the former First Bank Chairman, Dr AbdulMutallab, kick-started this international dimension when he attempted to detonate plastic explosives hidden in his underwear on a Northwest Airline Flight 253, en route from Amsterdam to Detroit Michigan. Since then, and coupled with voiced and actual threats of the Boko Haram sect against the west, and its collaboration with international terrorist organization, especially al Qaeda, the western world, especially the US, have kept Nigeria under very close watch. The US once shared information with Nigeria’s security system, which then NSA General Awoye Aziza made public, revealing that Boko Haram shared strategy, training, funds and arms with these international terrorist organizations. The United States government, through its Transportation Security Administration (TSA), also announced then that it would begin enhanced screening procedures on any US-bound air passenger travelling through a list of 14 nations. Nigeria was included on that damning list along with Sudan, Iraq, Iran, Somalia, Lebanon, Syria, Yemen, Afghanistan, Algeria, and Libya. Nigeria is therefore just one step away from being designated a terrorist nation, which every Nigerian must pay dearly for once it happens. In the face this stark reality, rather than see reason with government, serious pressure is on from many Nigerians, church leaders and security community to dissuade President Jonathan from going on with the amnesty. Many more, including the international community, have however equally encouraged the president to explore other options other than the singular strategy of use of force against the insurgency. One other valid concern raised is the nation’s defence, as the amnesty would amount to capitulation and directly undermine Nigeria’s military might. This emotional blackmail is not too apt since this is not a positional warfare where the military can be adjudged a success or failure. What should concern patriots more is that as the nation gears towards a general election in 2015, security remains paramount to avert constitutional crisis. Nigerians must bear in mind that the 1999 Constitution requires 24 states to elect the president. What this means is that the security situation should not get worse, to the point where elections cannot hold in at least 24 states. Such can spiral out of control and could possibly end in the splintering of the country. Some may not mind it, but, in this era when regions of the world are coming together, a united, indissoluble, equitable, federal Nigeria remains the best for all the parts of the country and all hands must be on deck to save the situation. Many also justifiably foresee the coming of more armed groups for their own amnesty. What then stops President Jonathan from going the whole hog by setting up an amnesty commission to address all armed struggle in Nigeria, outlaw firearms of all kind afterwards with very long jail term for arms prohibition violation? More importantly, the time for the country to talk is also now. Let Nigerian people agree on a nation. Call it national dialogue; national conference. Call it any name. Dogs and baboons should not soaking in their own blood. The nation has spilled enough blood and if amnesty and national dialogue will give the reprieve, why not? The amnesty is worth trying since the security operatives cannot stop them from the incessant killings of innocent Nigeria. It is when the amnesty is granted and does not yield a good result will they now try another mathod. But for now, I support it if it will bring to the end the boko haram activities. The amnesty is worth trying since the security operatives cannot stop them from the incessant killings of innocent Nigerians. It is when the amnesty is granted and does not yield a good result will they now try another mathod. But for now, I support it if it will bring to the end the boko haram activities. BUT IS IT POSSIBLE TO DIALOGUE WITH A GHOST? THE THROUGHT IS THAT, MR PRESIDENT IS LEADING THE COUNTRY TO A CIVIL WAR WHICH WILL BE A NASTY SCANE. I THINK WE ARE TIRED OF ALL THIS SIMESIME PRESIDENT.PEOPLE DYING EVERY DAY NEVER A SOLUTION,I BELIEVE IF THE NORTHERNANS ARE LOCATED IN THE SOUTH ,EST, WEST OF NIGERIA THE REST WILL BE IN HELL BUCHERED FOR THEIR ALLAH FOR SUYA. I DONT THINK THEY ARE SERVING THE RIGHT ALLAH, THEIR OWN ALLAH IS FAKE, HIS BLOOD SUCKER. ORIGINAL ALLAH DONT ASK FOR BLOOD AND ASK ANY ONE HE CREATED TO KILL OTHERS HE CREATED, HE HAVE NEVER AUTHORISE ANY ONE OR GIVING SUCH POWER TO NO HUMAN BEING TO KILL FOR HIM. Wow this is unbeliveable,that president of a country will negotiate with a torroriest.i no fit shout but i no go fit close my mouth.why is it that nigeria is the aways the first nation todo something new,”i be oga no be for mouth oh”all those theifs,monster,emberssullers,wicked leaders and politicians that is eating our national cake all alone we the poor masses are now suffring let them stand up as a champions they clem that they are”no be them say they be oga why they they run”WARNING IF BY ANY CHANCE YOU(GOVERNMENT) GRANT ARMNESTY TO BOKO HARAM JUST GET READY FOR UNEXPECTED,EXPECT THE UNBELIVEABLE. The writer has spoken well but he fail 2contribute a close means to amilorate the situation,if i were to say amnesty is not going to solve the problem in d sense that boko haram sect have never oneday clamour for amnesty is only d northern elders that requested this without d concent of d boko haram sect,they are just playing to d gallery just d way they tought they could handle boko haram as at then befor it was established for their political purpose, now reverse has been d case, d lion is out of d cage. I pity mr president he is totaly confused on which way to go on this insurgence.i tink he’s politicizing this by trying to compromise with d northern elders hoping they ‘ll return him back as president come 2015 is at this backdrop he decided to grant amnesty to people that has no conscience and regards to sacrosantity of human life.my own sugestion is this, let him first unmarsk them b/4 talking of amnesty, all those morney they are using to set up amnesty 4both militant and bokoharam should be use to build firms, industries, infrastructures, basic aminities therefore creating job for our teaming youth u ‘ll see all this restivness will stop dramatically a hungary man is angry man. how can you give amnesty to people that are suppose to be jailed for killing innocent nigeria. Were is justice in this country! This is Totaly nonsense…..
im really in support of GJE govert.for amnesty but we shld be more careful about this BH people because they are not to be trusted. It is only an unserious weak and spineless g0vernment that will consider negotiating with terrorists not to talk of granting amnesty to a faceless group who have wasted the lives of numerous citizens and declared themselves enemies of christians.Granting amnesty to this faceless group now will give credence to more group tomorrow and the defenceless and common nigerians will be the worst hit only for such group to be considered for amnesty by a spineless government. Those canvassing and pressurising the president to grant amnesty to terrorists should be aressted and made to face the law because they know this faceless group carring out genoclde on innocent Nigerians. they may be the ones sponsoring them. No country under the sun that will grant amnesty to terriosts nor negotiate with them. Mr president will only send signal to rest of the world that Nigeria is a weak and spineless nation if he succumb to pressure to grant amnesty to a faceless consicenless and cowardly group who lacks the will power to come in the open and make their demands known rather derive joy in maklng people weep. they are blood sucking demons. they are saddists. The more reason why security operatives can nt eradicate dis bokoharam of a thing is simply bcause the so call bokoharam are inside us, i mean the politician, so any plan made to even capture most be reveal by their inner member dats why it wud be difficult for security operative to carry out their perfect work. Terrorists all over the world are never granted amnesty. Giving amnesty to bokoharam is like thanking them for the innocent Nigerians they’ve wasted their lives. We should be talking about compensating those families and making bokoharam pay for the sins against Nigeria and Nigerians. Sine it has become like dis, den no need for killing and jailling de armed robbers insted armnest dem, sine it has becom our ANTHEM IN NIGERIA because dey are far beter dan all dis faceless group of people dat kills de innocent people.